Moody’s Investors Service says that a poll that Moody’s conducted in Kuala Lumpur in the latter part of March 2016 shows that more than half (58%) of the respondents surveyed believe that Malaysia’s (A3 stable) real GDP growth will slow to 4.0%-4.5% in 2016 from 5.0% in 2015. “The results are in line with our view that Malaysia’s headline real GDP growth rate will slow to 4.4% in 2016, although there are downside risks to this view,” Rahul Ghosh, a Moody’s Vice President and Senior Research Analyst. “Given the open nature of its economy—with exports and imports combined accounting for 131% of GDP—Malaysia is susceptible to a prolonged period of subdued global demand and weaker commodity prices, which will result in slower investment demand, and downward pressure on exports and government receipts,” adds Ghosh. Ghosh also points out that Malaysia’s high household debt burden—equivalent to 89.1% of GDP in 2015—will constrain the ability of private consumption to support domestic demand. Ghosh was speaking on Moody’s just-released report titled “Malaysia — Inside ASEAN: The View from Malaysia”. The report discusses results from real-time polls conducted during Moody’s annual Inside ASEAN — Spotlight on Malaysia briefing in Kuala Lumpur, which was held on 23 March. The event brought together the country’s largest investors, intermediaries and debt issuers, with 110 market participants in attendance. As for the Malaysian ringgit, the broad view among market participants at the event was that the currency has improved significantly, and that the ringgit will show stability against the US dollar over the next 12 months. Of the respondents polled, 53% expect the ringgit to consolidate in a range of MYR4.00-MYR4.20 against the USD over the next 12 months, and roughly a third expect a mild appreciation, within a range of MYR3.50-MYR4.00/USD. Moody’s says that the recent let-up in dollar appreciation, together with an improvement in Malaysia’s trade surplus and foreign exchange reserve position, provide a reasonably supportive backdrop for the ringgit. And, even if the ringgit were to remain weak, or embark on a renewed depreciatory trend, the overall exposure of Malaysia’s sovereign and banks to foreign exchange risks would remain manageable. Moody’s points out that the predominance of funding in the local currency means that weakness in the ringgit has not led to increased debt distress in the corporate and banking sectors, and the knock-on impact on interest rates has remained muted. Moody’s explains that Malaysian government foreign-currency denominated debt accounted for just 3.4% of the total government debt at end-2015. Meanwhile, the net open foreign exchange positions of Malaysian banks represent a modest 1%-5% of their capital levels, and most foreign exchange loans are granted to exporters, which will balance the risk of currency volatility. As for the banks, of the participants surveyed at the event, 40% believe that high household leverage poses the greatest risk to Malaysian banks in the coming 12 months, followed by corporate defaults, which garnered 27% of total votes. The slowdown in China, weak commodity prices and local property market trends each received roughly 10%-12% of the votes. Moody’s view is that Malaysian banks face rising credit risks in 2016, as slower growth and weaker corporate and household balance sheets challenge asset quality. On the exposure of Malaysian banks to the oil and gas sector, 54% of people polled expressed slight concerns, but believe that most oil and gas companies remain in good shape, and therefore such exposures will be manageable for the banks. Of the banks rated by Moody’s, exposures to oil and gas—and related companies— made up between 2% and 3% of the banks’ gross loans, or 15% to 23% of Common Equity Tier 1 capital, at end-2015. Moody’s says that the banks’ low share of energy-related loans should prevent a major spike in their overall non-performing loans. 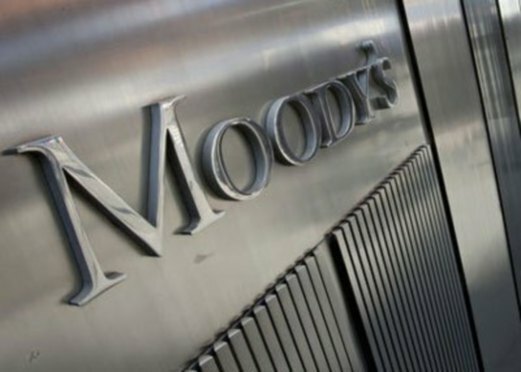 Moody’s further points out that of the participants polled, 47% said that governance concerns represent the largest structural challenge to Malaysia’s medium-term growth, while 27% cited high private sector indebtedness.